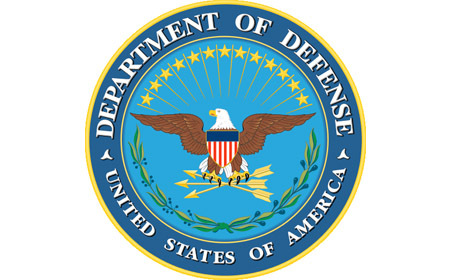 When the Defense Department put out a request for proposals last summer for its massive electronic health record replacement project, it sent shockwaves through the health IT world. And today the entire industry sits on the verge of finding out exactly what’s going to happen. The Defense Healthcare Management System Modernization – 10 years, $11 billion – is the kind of monster procurement that just doesn’t come along very often. This is a big one. Not only for the vendor group that eventually wins that lucrative and long-term contract. Nor just for the DoD itself. No, a project of this size and scope will almost certainly have repercussions across healthcare in ways we can’t quite yet accurately predict. Four teams entered the race: Epic Systems, working alongside IBM; Cerner, in partnership with government contractor Leidos and Accenture, with guidance from Intermountain Healthcare; Allscripts, teaming with Computer Sciences Corp. and Hewlett Packard; and a group comprising Medsphere, PwC, General Dynamics, DSS and Google. Back in February, the latter group was eliminated, but as of today the other three groups are still in the running. "This is a profound and important moment for the DoD," says Jerry Hogge, deputy group president of Leidos’ Health Solutions. "It’s been many years in the making and is very important in terms of the services that are provided to our nation’s military in the United States and around the globe." The DHMSM program, in fact, "represents a strategic shift for the DoD, away from a custom-built system, which we’ve been very proud to be a part of over the past 25 years" – CHCS/AHLTA was developed by Leidos in conjunction with SAIC – "to a strategy that’s going to leverage the innovation and investment that’s been made in commercial electronic health record systems,” Hogge adds. “We applaud their effort to do that strategic shift and fully embrace the direction they’re going." Leidos, of course, has a vested interest in the result of this procurement. But regardless of which bidding team wins the massive contract, there’s no question that this is a big deal, says Leidos Chief Medical Officer Carl Buising, MD. "From a systems perspective, this is a different approach than we’ve seen before" for the DoD, Buising says. "There have been tremendous advances in health IT in the commercial sector. This approach is to leverage that as much as possible and discourage custom software. There will be a little bit, but the emphasis has been leveraging commercial advances and industry investments." A prominent component of the RFP was that the technology protect the DoD from any eventual “data lock” or “vendor lock,” says Hogge, which will mean that open architecture and modularity are essential – and those are among the likely aspects of next-generation EHRs the contract winner will be poised to offer private customers as well at some point in the future. "This is a 10-year program. So one of the very few amendments that the government made along the way was to have the vendors demonstrate how their solution would accommodate removing a module or integrating a new one, or adding a new modular capability," Hogge says. Whether Cerner, Epic, or Allscripts comes out on top, a deal of this size will almost surely end up having a gravitational pull of its own that will affect the rest of healthcare, says Buising. "Just the depth and breadth of this project, and the size of the U.S. government as a customer," Buising explains. "There are about 9.5 million beneficiaries in the DoD and many more on the VA side. And the care that is provided comes from not just DoD but also the commercial sector – something like 60 percent. "Because of that, there will be information technology requirements that bleed over into the commercial side of the industry,” Buising adds. “I think what we will see is an advance in the overall information sharing capability and an advance in interoperability." Maybe, at last, the final nudge needed for systemic data sharing to reach full flower? This article originally appeared in the March 2015 print edition of Healthcare IT News.